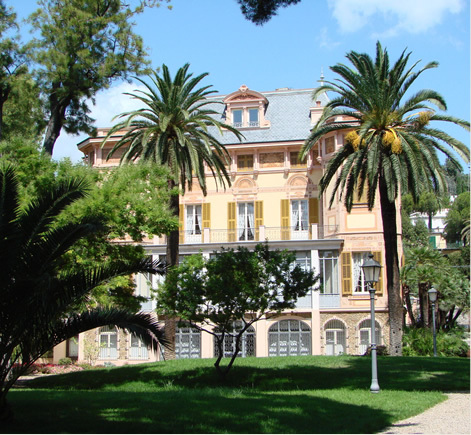 Villa Sophia is our hotel in the historic centre of Sanremo. The "city of flowers" and the Ligurian Riviera are famous for the beneficial and healthy effects that the air and the climate have on people. It is not a case if between '800 and '900 this place was chosen as a favourite holiday destination by personalities such as kings, queens, poets and scientists. The British chose the city as the ideal destination for long stays both during summer and winter. Along the Corso degli Inglesi, and it is not a coincidence if it has been named so, you can still admire the villas build by these wealthy people for their holidays. Each villa has a particular evocative name such as "Villa Bel Respiro" or "Villa Lieta Vista". The Waterfront Imperatrice is dedicated instead to Maria Alexandrova, the last Tsarina of Russia, who was so in love with the city of Sanremo that she decided to gift the city and its citizens with the beautiful palms adorning the waterfront. 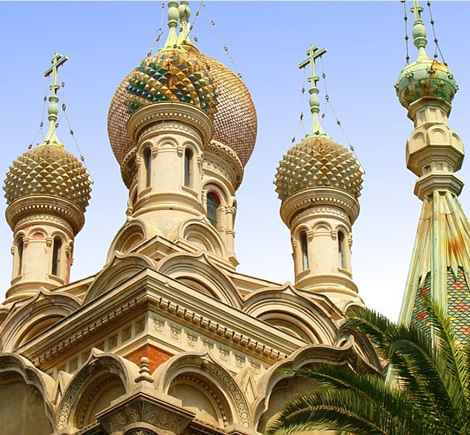 Sanremo is famous for hosting the most ancient festival of the Italian song. The Hotel Villa Sophia is near the Ariston Theatre of the Festival of Sanremo, where every year the greatest singers of the old and new Italian musical panorama contest. 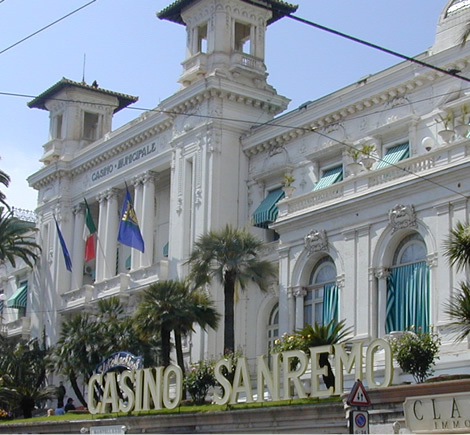 This town of the Riviera Ligure is also known for the prestigious Casino, the heart of Sanremo life par excellence. It was built in 1905 and hosts every year passionate gamblers, VIPs and celebrities from all over the world. Toward the east, with respect to the hotel, there is medieval district of the city, called "Pigna". Here alleys and streets are characteristic and rich in history like the 13th century Cathedral of San Siro. The Hotel Villa Sophia is located on Corso Matuzia, road that hosts the most prestigious hotels in the city. Right in the heart of the Sanremo Art Nuveau. Corso Felice Cavallotti, situated only few kilometres away, is the one that hosts the largest art nouveau villas of the area, among which stands out one with a particularly important name: Villa Nobel. Yes even the famous Swedish scientist Alfred Nobel chose Sanremo as a destination for his holidays. Another important villa is Villa Ormond that houses a unique garden rich of rare and exotic plants. Shopping cannot miss in Sanremo. In the centre there are many elegant boutiques where you can enjoy the pleasure of shopping. There are also many restaurants serving excellent food and wine tasting typical of the territory. In Sanremo you can also practice sea and land sport activities: sailing, motor boating, tennis and golf are the most in demand.